Sorry for poor pictures, they come from Internet. 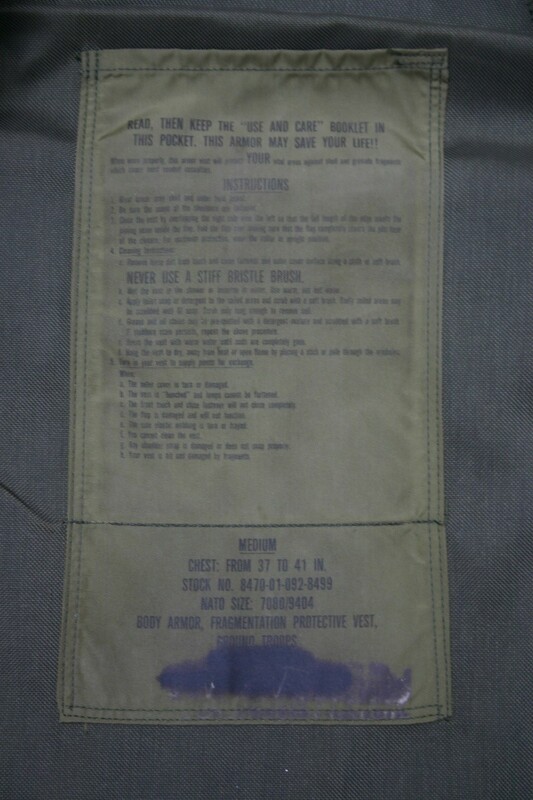 So this is the PASGT Vest for sure, the exact same one. Except this one is not a camouflaged woodland vest but well a green unicolor. The NSN : 8470-01-092-8499 has the "01" that means it's an US military item (00 and 01 on NATO codes are designation for US military items). I never saw this before. Sadly, the contract number and manufacturer were hidded. What's your opinions on this ? I know it has a US designator on the tag, but for some reason in the back of my mind, I associated it with Canada. I vaguely remember reading that Canada used OD green PASGT vests. But don't take my word on any of it! Thanks for your response. 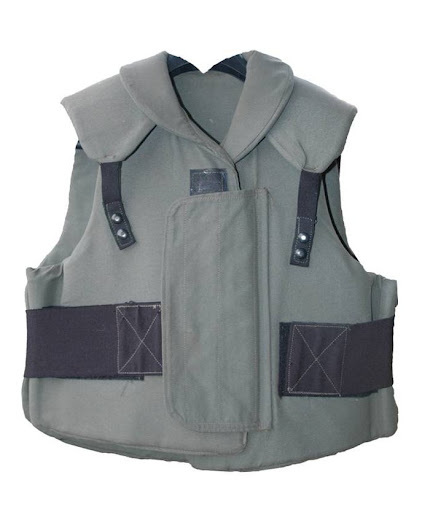 I was heard the Canadian army used US PASGT vest and British body armor before make its own. But I admit there's a lack of information about the color (woodland camouflaged or green) and that's the first time I see one in green. So maybe you've right... I first tough it was IDF, but the NSN with 01 number let me think I'm wrong, and also because IDF body armor have their tag also in Hebraic. Maybe canadian as you think...I don't know. 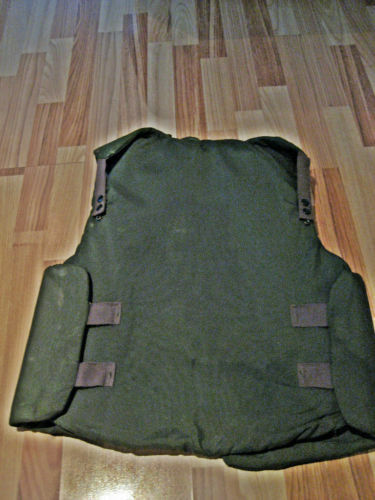 The seller listed it as a German flak vest (and it comes from Germany), but again it's not an evidence. It's for sure an US made body armor. 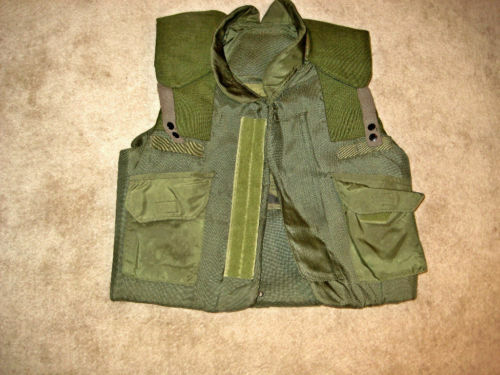 A friend and I listened some body armor from various countries, but we have no information about a green PASGT Vest. 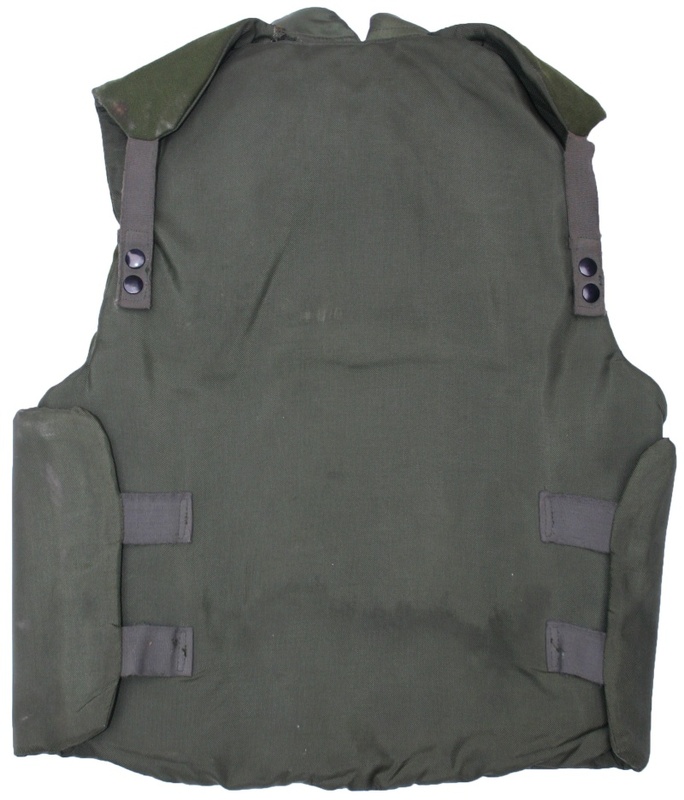 The USN vest is similar but not the same. Yep, thats the one I was thinking about. You've right, they look very similar, but the naval flak vest is not PASGT. The color is also slightly different, because the NFV is more grey-green. The PASGT vest I ask for ID is another model. 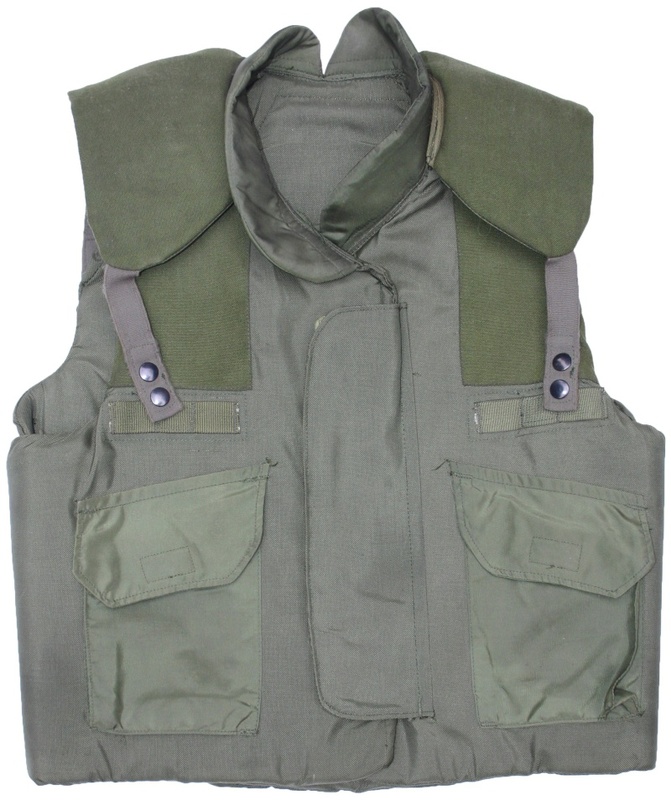 It's a real pasgt vest, but full green. But thanks for your help in this identification ! Hope we'll resolve this identification ! Edited by P-E, 05 September 2011 - 06:25 AM. No other idea on this one ? 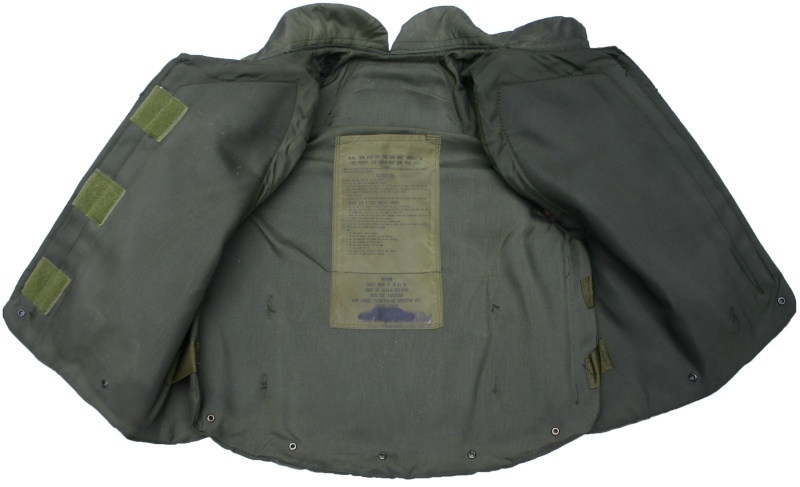 The Canadians did use an OD flak jacket, but the one that P-E posted is not it. 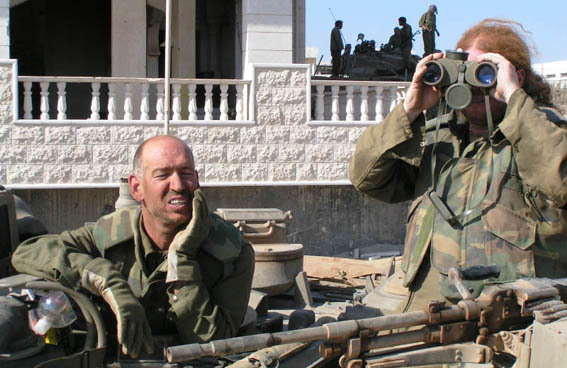 Here is a picture of the Canadian flak jacket in use by a Canadian UN Peacekeeper. Definitely not the same vest. Edited by nkomo, 06 September 2011 - 08:35 AM. Thanks for this pic Nkomo ! Just too bad it's not the green PASGT. That's a realy curious vest. Someone told me it can be one of the early model (around '83) and this person will search in the report of production if they were also produced in green at the origin. That's just the first time I see one, so I'm realy curious. I've spent some time on US Navy ships and I am fairly sure that I have seen the green ones (like you have) in use alongside the gray ones (which were far more common) but I don't have any pictures. 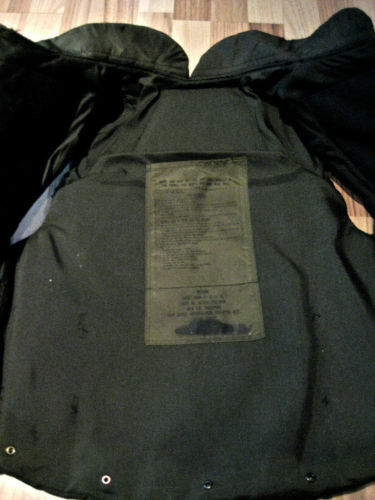 Or I could be wrong (quite possible, I didn't pay much attention to their flack jackets) and it might be a trials peice? I agree that it is not Canadian. I finally bought it and received today morning. Chest : From 37 to 41 IN. Any help is welcome to identify this flak vest ! Definitely US, no question, must have been a short lived contract. 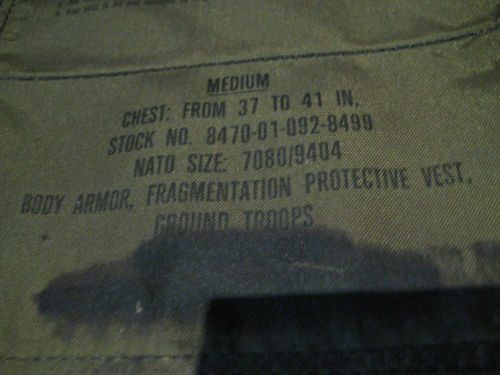 the other day i found 2 choc & chip PASGT vest covers, so is that why some of them are camo? Edited by History Man, 21 September 2011 - 10:35 AM. ask this member:sgtmonroe he knows a lot about contractors and number on us military gear. 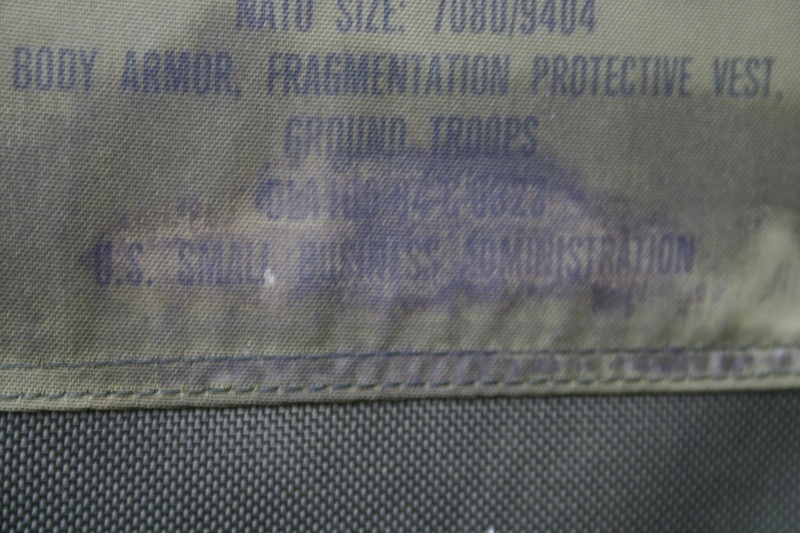 @ msgt norway : the label in itself is exactly the same one we can see on every other camouflaged PASGT Vest, so we won't learn something with the label I think, except it's well an US made body armor and that it was probably used by the US forces. The contract number and NSN shown are not specific to the green one. That simply the first time I see one in full green...that's realy curious. I found absolutely no other picture that show one unicolor like the one I bought and I never heard they were done in this full green color (in a report or internet). Edited by P-E, 22 September 2011 - 12:23 PM. Possibly manufactured for use by Israel. Thanks for your response. I was heard that the IDF has not a particular contract. IDF soldiers worn the same camouflaged vests US Army had. Look back in the 80s. You may find some photos if Israelis in OD PASGT vests with their helmets.